We have just tripped over the other side of March. 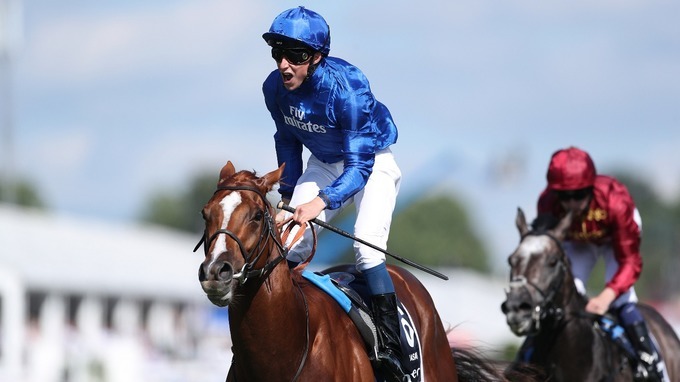 The Brocklesby Stakes has come and gone. The two-year-olds are coming thick and fast. Archie Watson has dazzled the likes of Mark Johnson with four debut winners in twelve days. Nothing stands still. Trainers, let alone horses, smirk at the grass growing under their feet. Winners, they look so effortless, but you talk to the owners of those who fill the places in behind. A dream left slightly tattered and torn. When you hope your horse disappointed to cling onto the vain hope it has ability. Don't despair, even the best horses lose. The small trainers make hay while the sun shines on even a cloudy afternoon at Pontefract as Yorkshire folk talk of the history of the great and the good. While the big guns keep their powder dry a small child chews on a small circular sweet made of liquorice. Charlie Appebly hasn't felt the cold of a winter breeze for many a year. Winners come 'easy' when you train horses whose blood is as blue as the colour of the silks you wear. The first two-year-old of the season for Godolphin, racing at headquarters. Chasing Dreams knows the time of day. A race that takes just over one minute, a fraction after ten past four. This chestnut filly, a daughter of Starspangledbanner out of a winning mare (A Huge Dream). One thing that all racegoers couldn't miss was Chasing Dream's price tag. 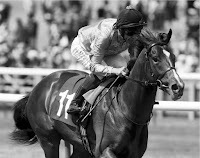 You know you can buy a lot of yearlings for 750,000 guineas. But would you swap them for Chasing Dream's after she trotted up at Newmarket, winning a five-furlong sprint in a less taxing manner than shown on the gallops at home? Yes, she was expected to win. Bookies didn't chalk up odds of 4/9f for fun. More in fear of a small field and limited opposition, to a point. I'm sure Appleby applied the hood so she wouldn't hear the cheering crowd because he doesn't want her to get a big head and struggle to get through the stable door. What's the betting Chasing Dreams lines up at Royal Ascot? What do Pigeons and Gambling Addicts have in Common? It sounds a strange pairing. Two love birds. One playing a FOBT in the betting shop. The other looking through the window, flapping his wings with an air of impulsivity. Both hoping for that elusive, big win: money or corn! Perhaps, it's where the term: ''Do you fancy a flutter'' came from? However, joking aside, there is nothing humourous about problem gambling. It has a hugely negative affect on the individual if not their family, friends and society as a whole. 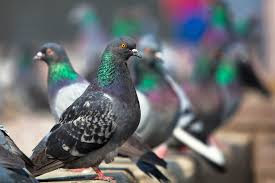 Research from the University of Kentucky found that pigeons and problem gamblers seem to have a trait in common. They both display impulsive behaviour! This psychological research is important as it details that impulse control could be the answer in finding an approach that helps with this addiction. Although you may never have thought about it - pigeons love to gamble. They consistently pecked a target that would result in a ''big jackpot'' of corn in favour pecking a target that offered 100% wins but less corn. On average the ''big jackpot'' paid out two corn seeds while the guaranteed win paid three. (Not the wisest gamble). 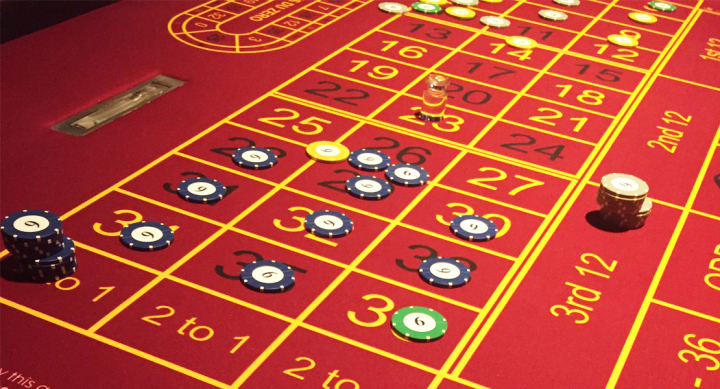 Researchers questioned whether this tendency to gamble was related to impulsivitiy. Lead author of the research, doctorate psychology student Jennifer Laude and colleagues, found that more impulsive birds were likely to gamble for the big payout rather than wait 20 seconds. The pigeons behaviour detailed they gave more significance to winning the jackpot than losing. This is the same behaviour displayed by addictive or problem gamblers. This relates to an impulse control disorder. In this way pathological gamblers aren't interested in their losses as they focus on the big win. 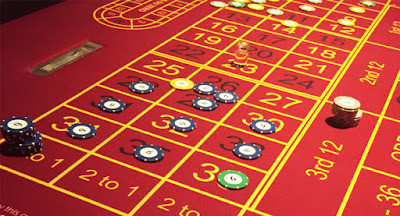 This research indicates that impulsivity may make people more prone to gambling. 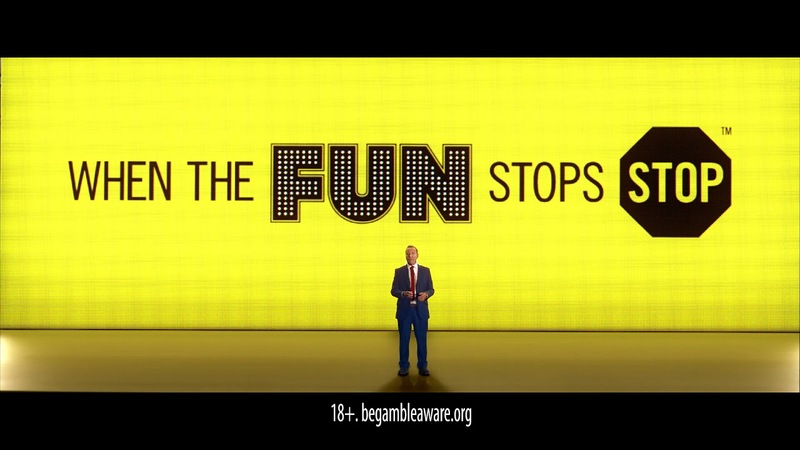 Consequently, training impulsive behaviours may help control problem gambling. Psychology: the study of behaviour and mind. To many, this offshoot of philosophy is akin to witchcraft. Others, it is just common sense. While for the majority: ''mumbo jumbo''. The strange thing about psychology is that we know it works. There have been studies which show when you walk into a supermarket, we walk so many paces before stopping, turning, and look around. You've probably done it a thousand times and never thought about it. It's walking, you stopped, so what! That's why someone had the brainwave of making sure the isles, offers or security guard (joke) are seemingly waiting at the right place to get you to buy. It begs the question, how many other things work like that? 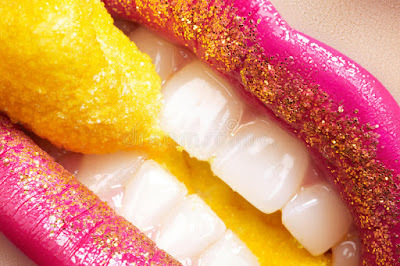 It is worrying to some extent as you may find yourself buying things, saying yes to someone who five minutes ago gave you a free pen, or liking someone or something that in ways always repulsed you before. You just put it down to being Friday! The power of psychology. Neuromarketing. Mumbo jumbo. Have you ever watched a TV advert and thought 'what's that all about'. McDonald's with its catchy whistle. Tapping into all those difference senses so you when you want a burger, you find yourself in their queue ''Cheeseburger, please!''. I guess we are a little fearful of the unknown. What's happening to me? I went to the shops to buy a packet of sweets and returned with a vacuum cleaner. What are those bookmakers are doing with all this witchcraft? If you open a new account, we will give you 10/1 that Chelsea beat Whatever United! I see it somewhere else 5/4. I studied psychology and gained a degree a number of years ago. Social psychology is intriguing because it finds ways of tapping into the human condition to get you buying. Why is one salesman so much better than the rest of the team? If you studied this person you would identify how and why. But how does this all related to an individual like you or me making psychology work for us to be a better gambler or win more money? The key to finding winners is , in many ways, watching, taking note, and understanding winners. For instance, one aspect which often reveals bigger odds (value) is the contrast theory. 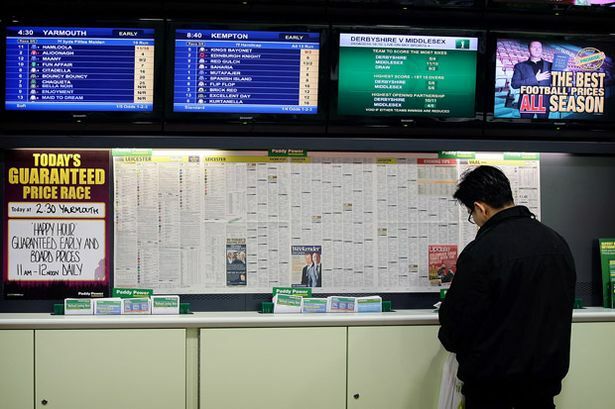 Basically, if one horse beats another, many punters, bookmakers, layers will fancy the same result if they oppose each other at a later date. I know there may be changing variables such as weight, going, distance etc. However, it has been proven that people often assess the likelihood of the previous winner as having a greater chance of victory than it does. Meaning that the favourite is often under priced whereas the beaten horse is actually value at bigger odds. Just stop for a moment, and consider how many other aspect of psychology could be at play when you bet. We're back from our annual pilgrimage to Great Yarmouth. It's in memory of my late father, Colin and many relatives sadly passed including uncle Fred, Keith, Roy and their friends who loved a bet. Avid readers will probably know we go to Yarmouth for fun, gambling and good food. The gambling part takes centre stage although I don't bet big money at the races on holiday compared with working from home. I find it difficult to be as professional as in my daily routines. The caravan I shared with a group of five isn't the most ideal place to contemplate wise bets although I did settle in with the holiday distractions better than I thought. I went to a couple of the race meetings and found a few winners which made it worthwhile. I missed meeting up with Jerry Banks which is a real shame. Jerry runs the great website called Jerry's Best Bets. He found the winner in the Listed race at Yarmouth, Beautiful Morning, who pretty much sauntered home in style. The casino wasn't such a pleasurable experience. I do enjoy the Grosvenor Casino because it is an old listed building with real character and charm. It is a great place to go for a cheap meal. They want to get you through the door and lose your money. I have done well at the casino over the last few years and, believe it or not, won money. This time the roulette wheel was spinning without luck and over three nights took a wedge out of my wallet. Not good. It can be depressing betting, watching that bloody ball stop in a number you haven't picked. It seems so easy after it has stopped! I'm still winning long term but not a great deal. The casino tempts punters from the races by giving a free drink and free bet to all who take their race badge. Basically, it is like them giving you £10 for free. Considering most people lose it is probably the best £10 they have ever spend on marketing. It is interesting watching others gamble. You get a real mix of people. Some betting 50p chips, £1 chips...while a few are either there to impress or just don't know when to stop. I guess everyone has their limit. I've been to the Grosvenor a lot and you see a few familiar faces. I'm pretty sure the majority of their customers are regular bettors. I say that because even mid-week they look a familiar crowd. A couple of them pretty big gamblers. Each to their own. I have chatted to one or two in passing but not to appreciate their background or where they made their money. However, they are clearly not short of cash by the manner they bet. One of the regulars is Graham. He dresses in a comfortable fashion which belies how much he bets. He isn't there to impress in the fashion stakes but boy does he get the money out as that roulette wheel spins for its life scorching the veneer while fate decides your fortune. Graham didn't have the normal pink chips worth £100. In fact, at first, I couldn't see where he was getting his chips from. The croupier kept pushing £500 of £5 chips in his direction and then five £100 chips. So he was cashing up £1000 a time. I noticed he had a number of light-blue chips worth a grand a piece. To be fair, he was having about as much luck as me for the most part. He wistfully placed £500 in £5 chips across the table and lost the lot in about six consecutive spins. He carried on betting regardless if not with extra verve as he started putting the five £100 chips on too hoping lady luck would come smiling after a number of dastardly verdicts. Thankfully, Graham hit a single number with one of his £100 chips winning £3500. I heard him mention he was down £6000 before that win. I had seen him on the other table a bit earlier. Where do these people get all their money from? I will have to get chatting to him some time although he isn't really my kind of person or at least that is how I feel. The fine dining part comes from visiting Pamela's restaurant just around the corner from the casino. A jewel in the crown of Yarmouth. Well worth a visit with exceptional service and gourmet delights. I had one of those cocktails made with dry ice which looks rather spectacular if not difficult to drink as I kept breathing in those fumes. A great few days down Yarmouth. Thinking of those loving people past & present. You need to be brave to fight in a war. But perhaps you need a brave, strong heart to cope with this amazing winner on the slots. That's what happened to 26-year-old Jon Heywood from Crew, Cheshire when he became an overnight multi-millionaire picking up £13.2M for a ridiculous 25p stake. Who says playing online slots doesn't pay? This Afganistan war hero couldn't believe his luck when he struck gold. He is also going to spoil himself buying a yellow Bentley Continental GT. He drives a Fiat Punto! Jon continued: "I couldn't believe that I'd won all this money at the time - and it still hasn't sunk in. "It's amazing. The first thing I will spend it on is the best possible medical treatment for my dad. "That's more important than anything. Family comes first and I'd give all this money back for him to be healthy again." His good fortune means he's paying for his relatives to go on a Mediterranean cruise. The win is a world record for the largest jackpot payout in an online machine game. Take a look at Slots Verse - Top Slots UK. If you want to see the best of the action then fairy tale slots is a great starting place for newbies or experienced players. This website is great as it details the best casino offers from leading bookmakers. For example, Leo Vegas give £1500 welcome package and 120 free spins. If you are looking for the best free spins deal one of their operators gives up to 300. Want all the info? Well, you can find it easily by exploring the Top 10 Fairy Tale Slots.